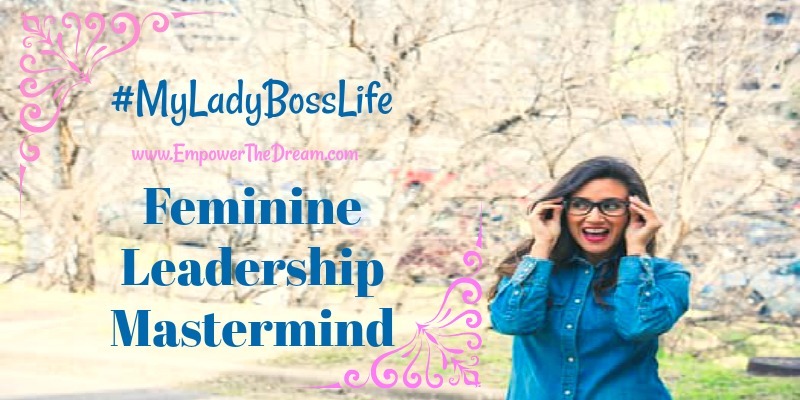 I am saying YES to living #MyLadyBossLife and being a confident Feminine Leader. You and I both know that our life journey can take us on a roller-coaster of ups, downs and screamin’ out loud. But when all is said and done, we learn a boat load of life lessons. If we pay close attention, we experience many empowering, personal transformations which allow us to positively impact the world. Isn’t that what’s it all about? It’s what the upcoming Feminine Leadership Mastermind is all about. I decided to say yes to being soooo over the drama, the struggle, and the fight of trying to make it all happen. I decided to be done with the wishing, hoping, playing the victim and pretending I liked it! I decided I was so freakin’ ready to stop the fake attitude and being perfectly fine to do it all by myself and ….oh, I can do it for you too! Control. Control. Control. UGH. It was so darn hard to keep up this way! Know what I mean, darling? Yep, I’ve been there and it was kickin’ my booty all over the curb and then some. But ….yes, there is a BUT…I figured it out! Power to the Queen within! You might be hearing the term Feminine Leadership these days. It’s the new buzz word. And I rather like it. However, I must admit, it can have a bit of a negative connotation, well at least the word leadership. I’m on a mission to change that – here’s what I mean. Feminine leadership is not a new way. Furthermore, it hasn’t been our recent common practice to be a true #ladyboss or a #ladyleader. And, seriously! Must we compete for everything? Even when we say we aren’t, we are. It’s not our fault, its what we see in the world. To complete, compare, secretly loathe or feel jealous of what they have and losing faith or appreciation for our uniqueness, our dreams, and unlimited possibilities. We say we want to collaborate with our networking peers or office gals or besties – but often we fall victim of some sort of self-sabotaging behavior. We do not have to do everything they are doing or do it their way. Seriously, how many shiny objects can we really give our attention to in one day? What I’ve seen and experienced is we get stuck, stagnant, and blocked when we try to figure it out ourselves or try to be someone we are not. What have we become so afraid of? What happened to our light, our voice, our conviction of creating joy AND success. Instead, we’ve gotten used to hiding out all alone. We are doing our best, yes always doing our best to do a little better. Why? Because you have a dream and so do I. That is why I had to make a change and I bet you’re ready too! We sure have learned a lot, right? Definitely learned enough to know we want change and now is our time. The Feminine Mastermind is my way of bringing back true Feminine Leadership Mastery. The kind that has all the inner workings to create our outer success. With less external force or struggle and oh darling, so much more inner empowerment and heart-alignment with only the right outer action. This isn’t your typical women’s mastermind. Our journey together will crack you open to embody all of your power, unleash your fearlessness and bring you into experiencing your true abundance, wild creativity, and sensuality. We gotta get real with ourselves. Drop the mask. Show the scars. Lick and love our own wounds. We gotta find our voice, speak our truth, own our desires and believe we can have it. We gotta create inclusion with them and with ourselves. We gotta listen. Like, sit down and shut up. Take our divinely guided action. I mean, when have you really been given more truth? Our feminine leadership is within. It’s this inner thing that’s so much about the principles of surrender, receiving, and inspired action. It’s time to drop the lie and stop thinking that if you just keep working harder, something will change. It’s nearly impossible to transcend survival-mode without opening up to receiving and finally giving to yourself. People want to learn from someone whose life they’d love to experience for themselves. Being in deprivation serves no one. Besides, I think we can all agree it’s not the hours on overload that give us the inspiration, creativity or energy we need. It’s those special times of connection to our self, divine and those we love. It’s in the present moments of joy, deep relaxation and quite pause that actually move us toward our greatness. I’m of the opinion that to be a successful feminine leader, we have to be in the habit of enjoying life, taking the time to tune in and expressing our gratitude. To be strong leaders, we have to nurture ourselves emotionally, physically and mentally. If your anything like me, you’re so ready to be a powerful, fearless and passionate feminine leader serving your tribe, making a change, and running your own successful career or business while still living a beautifully balanced life. Yet birthing big visions and messages in the world takes a community. It takes a tribe of support. That is so important. Get ready to step into a sisterhood that is here to support you as you birth your deepest desires into the world with pleasure, ease + adventure in the company of friends whom will become lifelong sisters. Sister, there are paradigm shifts happening in the world. Our womanly wisdom and leadership are needed in this world, in our communities, and in our personal lives. If you are searching for a sign from the Universe to confirm your path as a Feminine Leader – this is it. You reading this is confirmation from your higher self that you are ready now. Our experience is lovingly cultivated and divinely guided with the presence of women called to higher service, greater contribution, more freedom, pleasure, expansion, confidence, and power. For women who are ready to look at their deepest desires wide-eyed and make them happen, be seen in the world, and share their message through soulful expressions that will support + nourish them – this is your destiny calling you home. Please stay tuned for more info coming in next days. If you’re interested to find out how you can participate or even share your musings on this topic, please share your comment below darling.